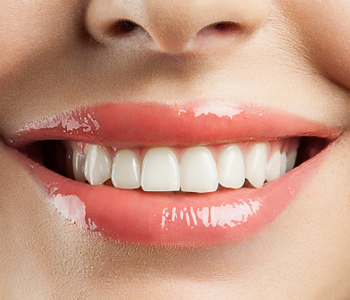 Missing teeth can impact the smile negatively in a number of ways. Dr. John L. Aurelia and his staff work closely with individuals in and around the community of Rochester, MI to provide restorative solutions that work. Teeth can be replaced in three ways: dentures, dental bridges, and dental implants. Dental implants require a procedure for placement, but is often the most desirable solution for patients seeking restoration of the smile’s beauty and function. A dental implant is a titanium post fabricated for placement into the bone of the jaw. It functions int eh same way the natural tooth root once did. It is held in place with the bone after a process called osseointegration occurs, and is a reliable, long-term solution to tooth loss for many patients. Patients interested in dental implants often want to know the procedure required. First, patients are evaluated to determine if they are appropriate candidates for implants. Implants require patients to have sufficient bone for placement. This is determined through x-rays and an examination. Once patients have decided that dental implants are right for them, they schedule a procedure during which Dr. John L. Aurelia places the implant into the jaw. The implant is restored in a few different ways depending on the needs of the patient. It may be covered with a dental bridge, a dental crown, or a denture. Dental implants are durable, strong, and can last a lifetime when patients care for their smile properly over the years. At the practice of Dr. John L. Aurelia in Rochester Hills, MI, patients have access to a variety of restorative solutions for themselves and their smiles. His practice is conveniently located at 804 N. Main Street #201A in Rochester, MI, and is easily accessible from other nearby communities including Lake Orion, Rochester Hills, Shelby Township, and Troy. Contact him to make an appointment by calling (248) 651-6810.